The nefarious plans of a group of poachers turned deadly this week - but not in the way one might expect. The poachers were thwarted by a pair of fearsome "locals" who were none too pleased to have hunters in their midst. One poacher, identified as 24-year-old Matome Mahlale, was mauled to death by lions while attempting to carry out the illegal hunt on a game farm in South Africa, police say. The four others members of Mahlale's hunting party were forced to flee for their lives after the big cats attacked. 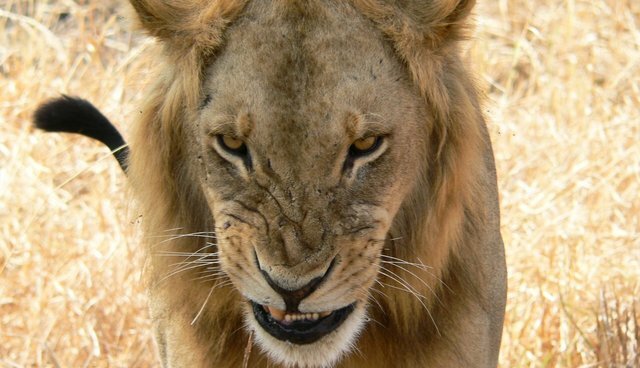 "They came across two lions," police spokesperson Ronel Otto told Eyewitness News. "Three men managed to climb into a tree and the other one managed to escape." Sadly, two dogs forced to accompany the hunting party were also killed. It's unclear what type of animals the illegal hunters had intended to target, or if they would have been caught by authorities for the crime, what with skyrocketing poaching rates in South Africa. This isn't the first time an attempt at poaching wildlife has resulted in the tables being so swiftly turned. In 2010, officials in nearby Kruger National Park discovered the remains of a poacher who had been devoured by lions shortly after being chased and injured by a group of hippos. In that case, two of his accomplices lived to tell the tale.